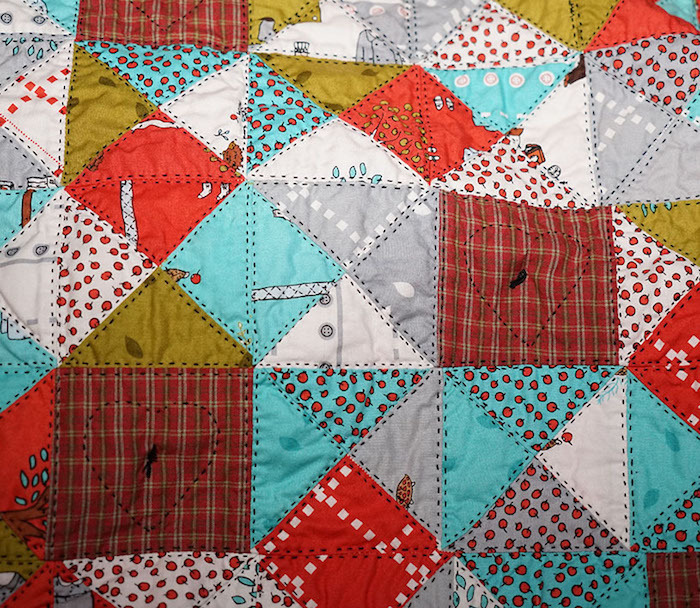 This week I worked on my baby quilt. 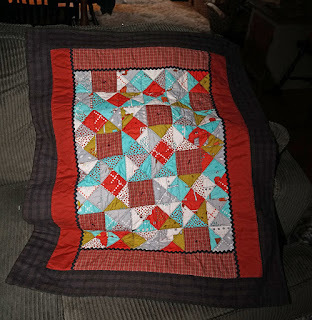 I wanted to hand quilt it and I actually find that relaxing, though it does take longer than machine quilting, so not a good idea if I want to make charity quilts. I noticed that I was not going through the backing, so I decided to just quilt the top and attach the back with the ties. It made it a lot easier and faster to quilt, but not the best way to attach the back, since there are only a few ties. 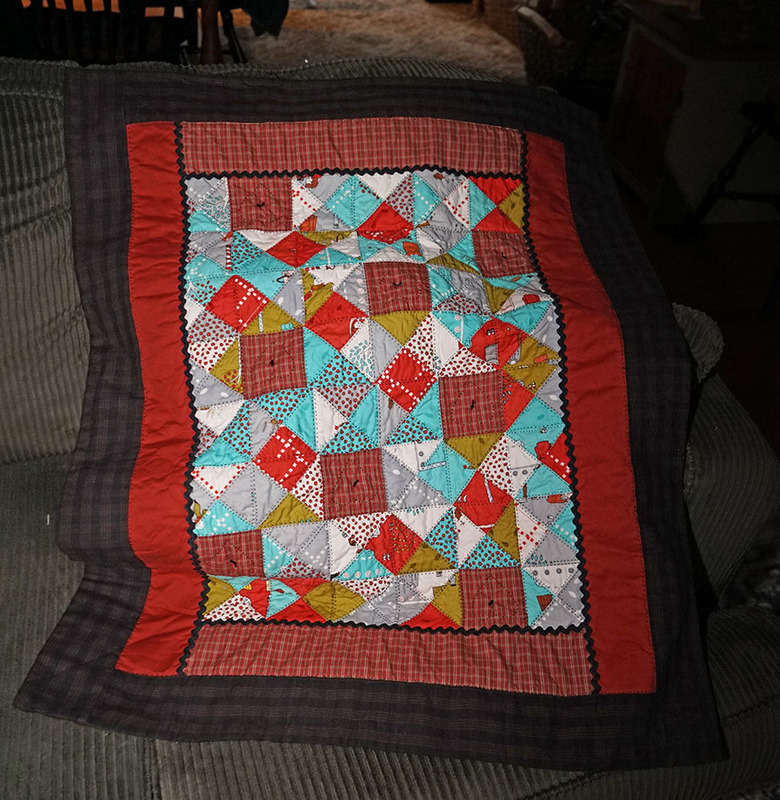 I did quilt the back on the outer edge. It is not perfectly pieced, but I like how it came out. The outer edge is a darker black, the flash messed with the colors and print. The finished quilt is about 34" x 28". And here is a close up of the stitching. I decided to add a heart in the center of the solid squares. And here is the back. Here you can see where the problem with attaching the back last, has happened. Once I washed and dried it, it puckered up, worse on the outer edges. 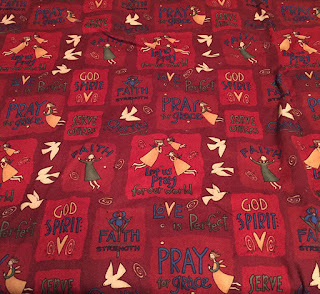 I am not sure what to do with the quilt, I really don't want to take it apart and not sure if anyone would want it. Time to start using my quilting machine. I love it...it is just perfect! What did you use for batting? If cotton, you might be able to spritz it and let it sit (so slightly dampened) then carefully iron it???? I didn't actually notice until you pointed it out. It will be loved no matter how the back lays. Fun fabric choices Debbie, I love your black thread quilting that you did. How disappointing about the backing. I don't know what to suggest to fix it. Your baby quilt is quite lovely, Debbie. I like the back this way - it's cuddly. Babies are not as picky as adults. I'm not a quilter, so I think it is perfect!